Alia Bhatt's reaction to Ranbir Kapoor's kiss at an award show is unmissable. Alia Bhatt and Ranbir Kapoor have been making headlines ever since their dating rumours have been doing the rounds. Their videos from a recent award show have been taking the internet by storm. A recent kissing video of the couple is doing the rounds that will leave you ‘aww-struck’. In the video, Ranbir can be seen trying to kiss Alia on the cheeks but almost touches the lips. The expression the duo gives is just too adorable and you will watch the video on loop. Earlier, during an interview with Filmfare, Alia revealed that the bond she shares with Ranbir is only friendship and that they are not in a relationship. She said, “It’s not a relationship. It’s a friendship. I’m saying this with all genuineness and honesty. It’s beautiful. I’m walking on stars and clouds right now. The best part is that we’re two individuals, who are living our own professional lives in its full form right now”. Alia said, “Ranbir’s my brilliant friend” in reference to a book titled ‘My Brilliant Friend’ by Elena Ferrante. She was then asked about Ranbir troubled past to which she said that it is a part of his life and it really does not matter. “Aur main thodi na kam hoon,” she added. 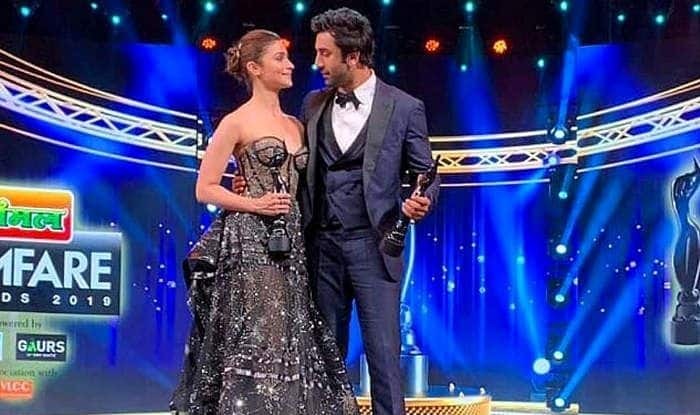 A few days ago, another video of theirs went viral where Alia was on stage collecting her award and while giving her speech, she told Ranbir Kapoor “I love you” which made Ranbir blush and cover his face. On the professional front, the actors will be seen sharing screen space for the very first time in Ayan Mukerji’s Brahmastra. Ayan has been sharing unseen pictures of the couple from the sets which make fans believe that Alia and Ranbir are head over heels for each other. Alia will soon be seen in Kalank which is slated to release on April 17.